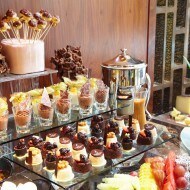 The Berkeley Dining Room is an all day dinning buffet style restaurant at the newly opened Berkeley hotel in the Pratunam area. The hotel is part of a big shopping mall called the Palladium. 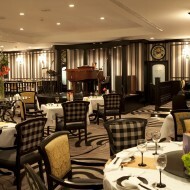 They are offering a seafood extravaganza every Fridays and Saturdays. 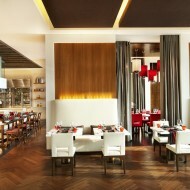 The dining area is spacious with high ceiling. The glass decoration hanging from the ceiling in shapes of fish and oxygen bubble in the middle of dining room is eye-catching. We didn’t wait long to explore the buffet lines. 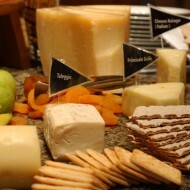 Everything looked appetizing and we sampled plenty of them. 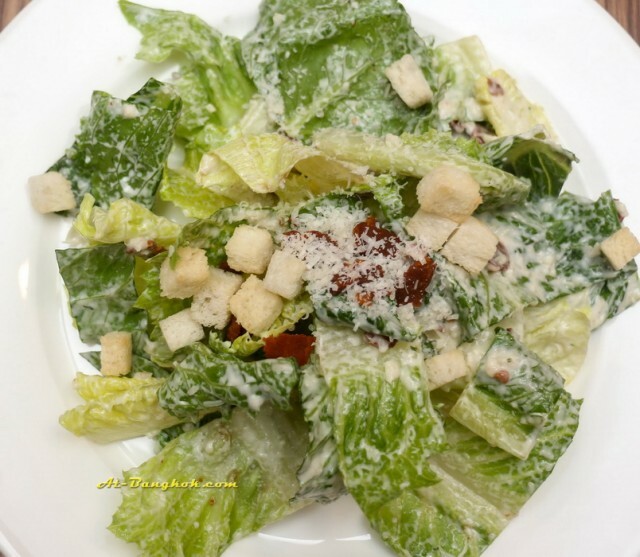 Starting with DIY Caesar salad, the lettuce, bacon and croutons were crunchy, while the dressing and parmesan were tasty and savory, so it was an automatic winner. Assorted seafood: salmon sashimi, fresh oysters, king crabs and seared tuna with Japanese seaweed salad. The quality of the seafood was excellent, naturally sweet. Salmon sashimi was sweet, so we could tell right away that salmon here was top grade. 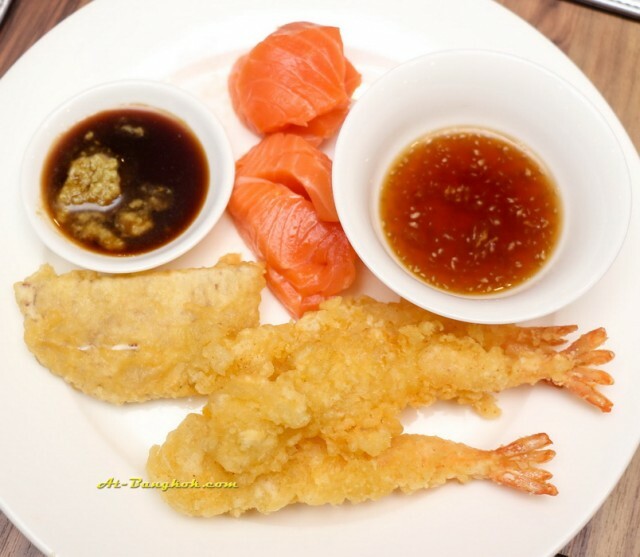 The tempura was also crispy and flavorful. 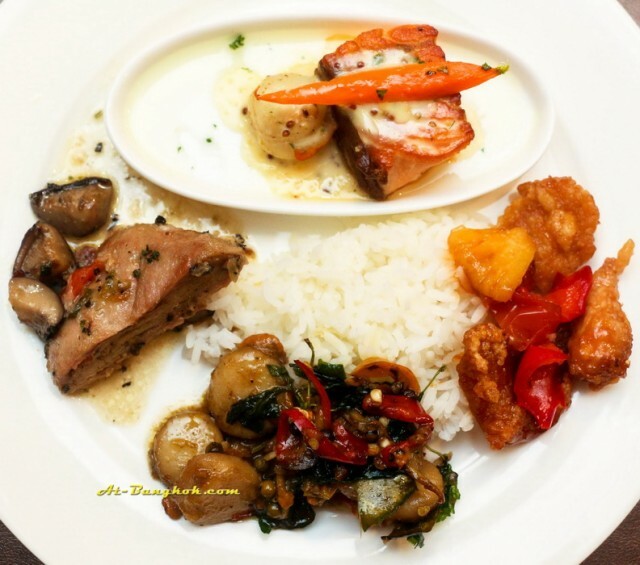 Assorted hot food from the buffet lines: Salmon white wine sauce , scallops stirred fried with basil leaves, sweet and sour fish, and pork fillet with oyster sauce. They all tasted great, with the exception of the pork, we thought it was a bit too bland; it could use more fish sauce or oyster sauce. The scallops, however, were tender and spicy. 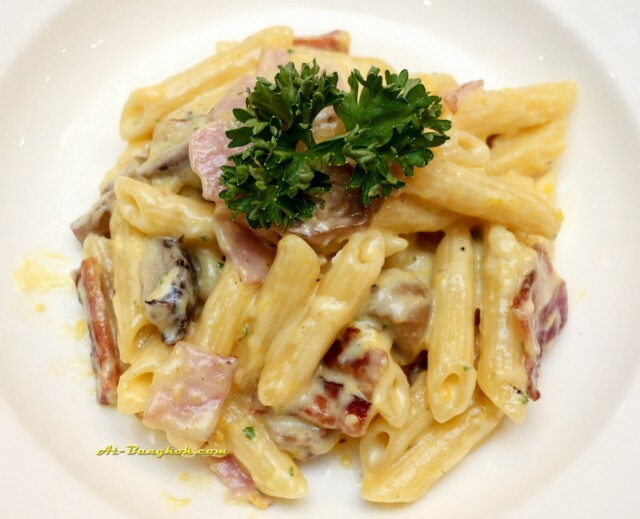 Penne carbonara with ham and mushroom: the ham and mushroom were optional at the pasta bar. There were also meat sauce, tomato sauce, as well as olive oil, garlic and chili flakes. Judging from this carbonara, the pasta bar here is top notch. So if you are watching your carbs, please beware. 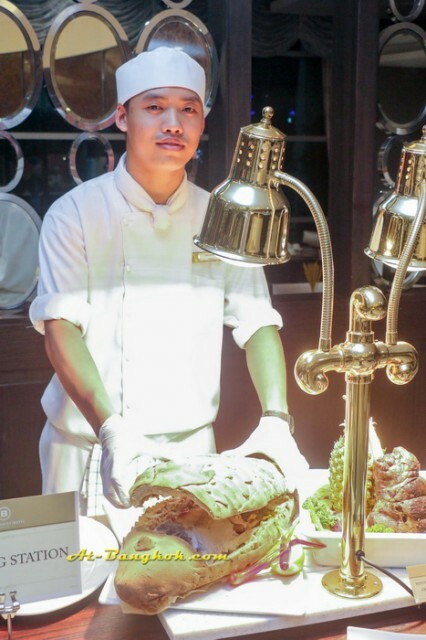 A huge white snapper covered with salted dough and baked. It keeps the fish moist and at the same time flavors the fish. The fish was very fresh and naturally sweet. While there were many sauces to go with, we still prefer spicy Thai seafood sauce. 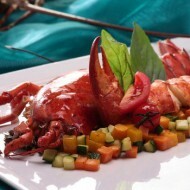 Chilled seafood: Alaskan king crabs, rock lobsters, river prawns, blue crabs, oysters, mussels, etc. 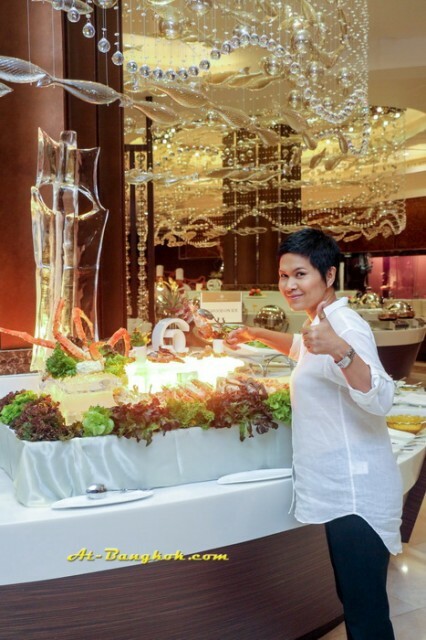 We admire the quality and freshness of their seafood, with a thumb up. 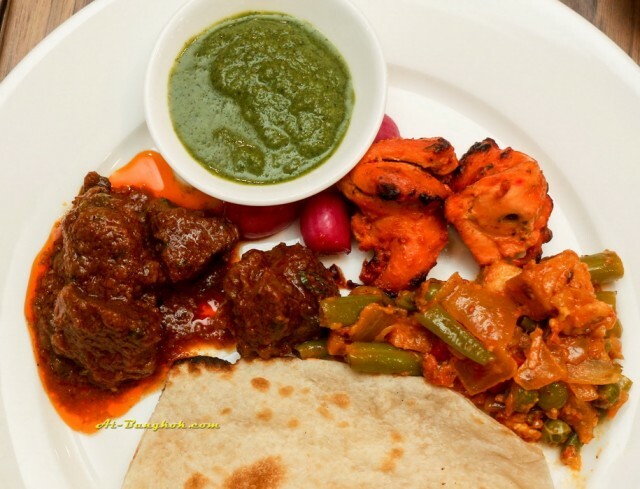 Assorted Indian delights: naan bread, green chutney, chicken tandoori , lamb rogan josh . 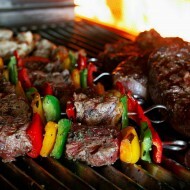 Well rounded flavors, the chicken was tender and the lamb was very tasty and fragrant. 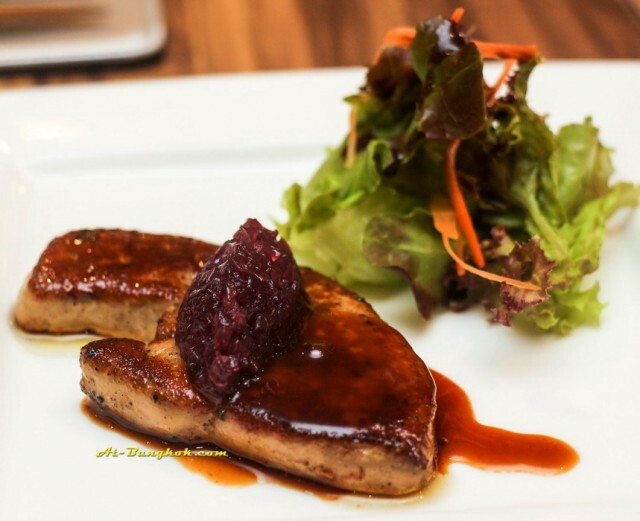 A large piece of perfectly cooked foie gras topped with fennel stewed in red wine sauce served with balsamic reduction. The foie gras simply melted in our mouths, the way it should be. 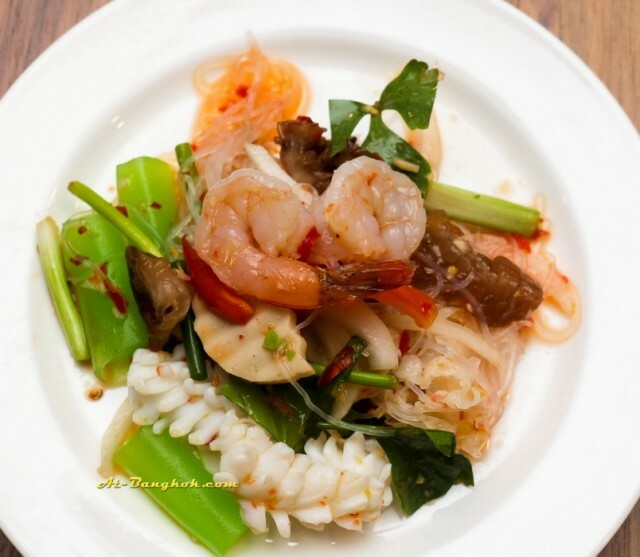 Spicy glass noodle salad with assorted seafood was available at the Thai salad corner. The salad dressing was flavorful and the shrimps were still translucent. 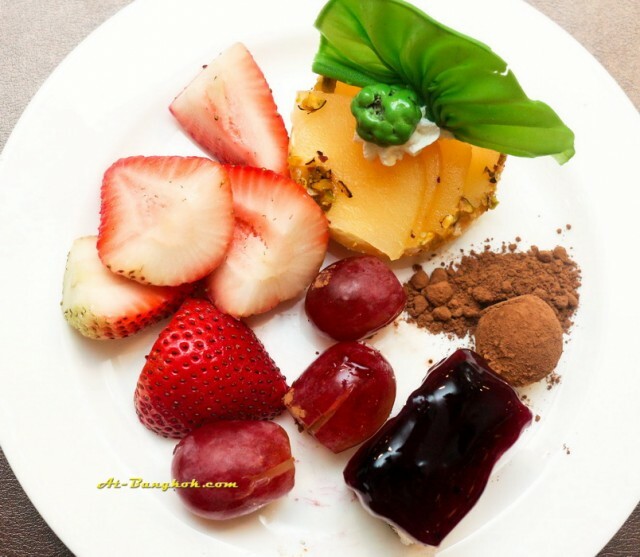 For desserts, we chose fresh fruits because we had such a big meal but we could not help ourselves from trying its chocolate truffles and blue berry cheesecake. They were absolutely delicious. 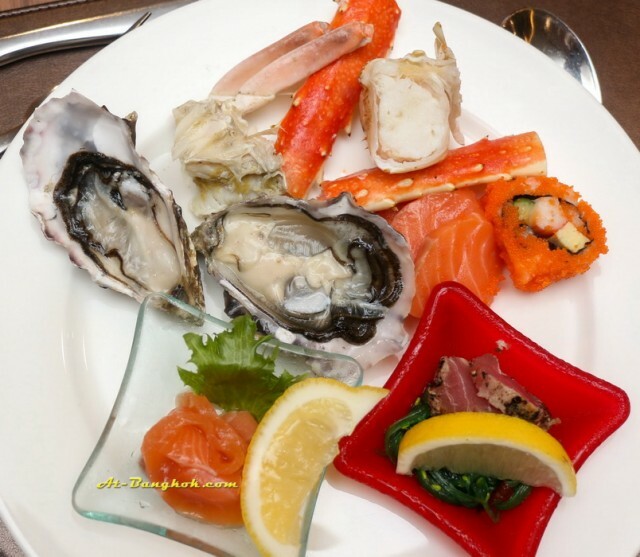 The seafood buffet is 1,519 net and available on Friday and Saturday only and the current promotion is buy one get one free when paying with Krung Thai Credit card (KTC).